Endless Brain | A cognitive-musical-behavioral approach to understanding autism and explore endless abilities. Discover your talent, enjoy the endless musical fun! 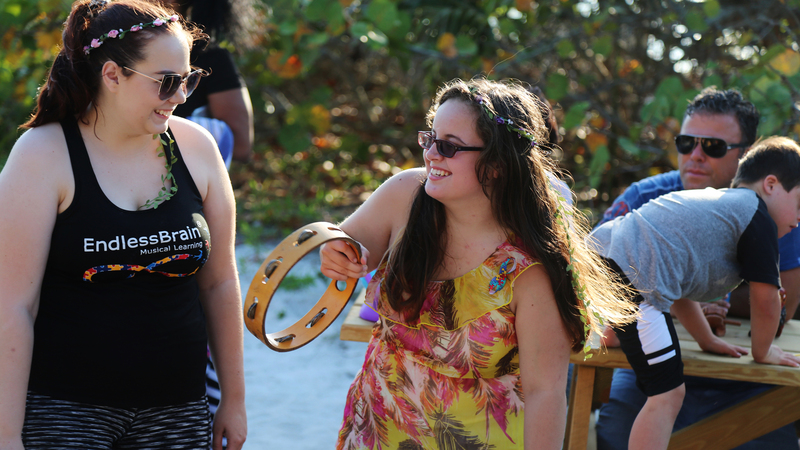 We are working hard to create many musical learning opportunities for special needs children in our communities promoting their talents, targeting self-esteem, acceptance and inclusion. EndlessBrain is not a therapeutic approach, rather we create opportunities to capture our children’s interests and attention making learning most meaningful and fun. EndlessBrain facilitates this learning in a dynamic way using a variety of evidence based effective teaching methods. Through mindfulness, musical, theatrical, and artistic activities we found these learning opportunities to be most effective not only when it comes to skills acquisitions but to connect with our hearts and bodies. 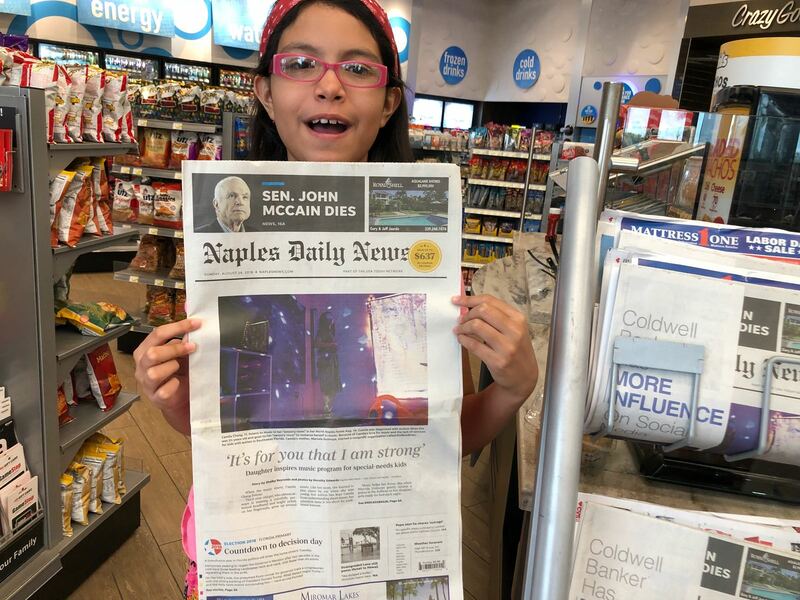 Discovering self-awareness and consciousness of our own power is something we want to be recognized by children who participate in EndlessBrain activities. We focus on exploring their talents and creating a specific path for self-discovery to occur in the most natural way. 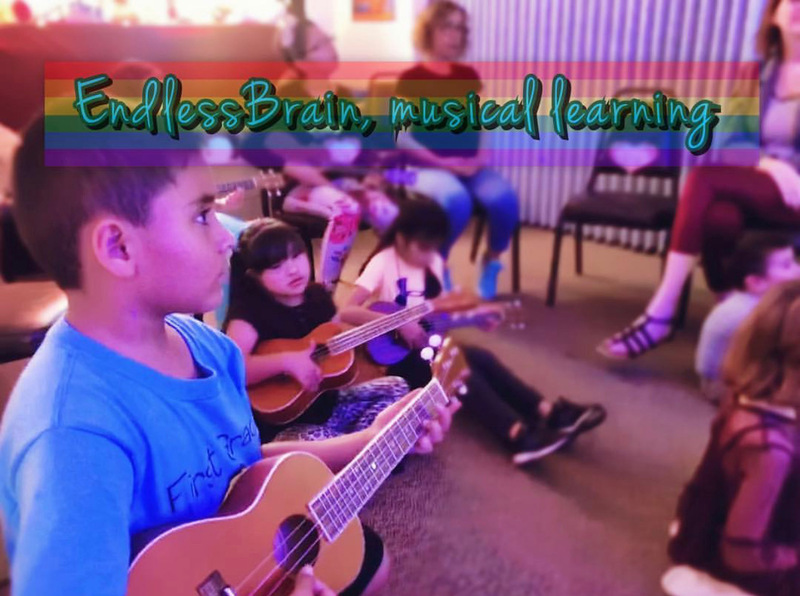 We would like children to find EndlessBrain to be a safe and friendly space, where they feel fully accepted and comfortable practicing their music and fun activities, a place they can be excited to participate in and enjoy their friends, connecting with each other in endless meaningful ways. 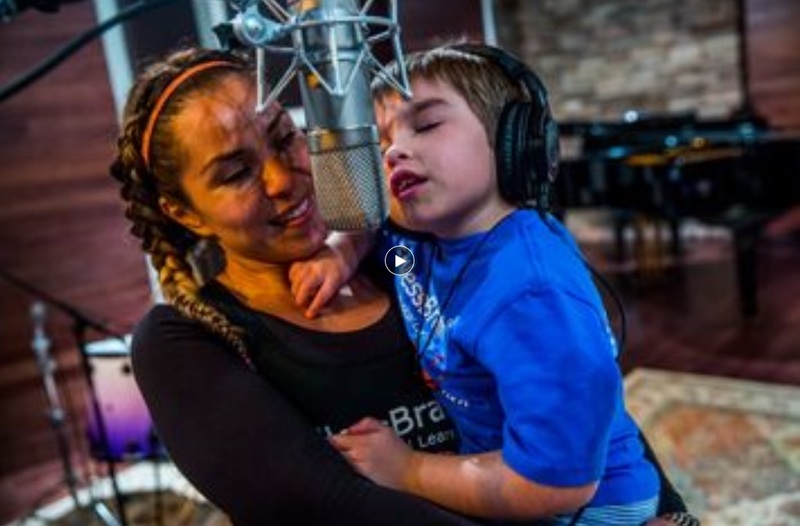 Special needs individuals often have musical and artistic tendencies. 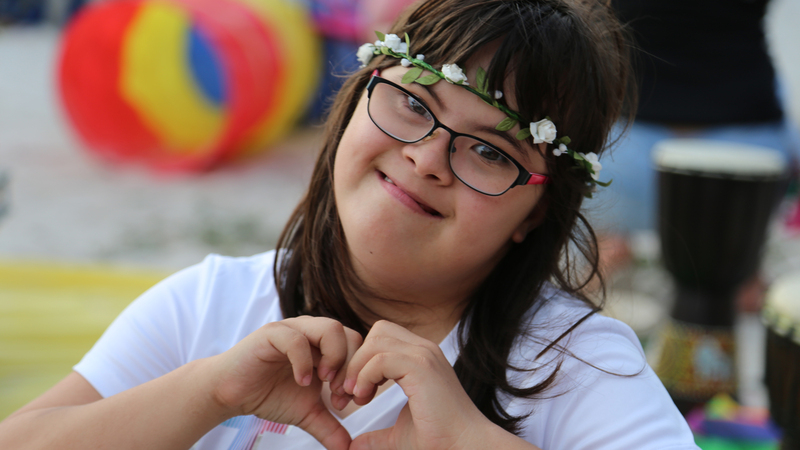 Our mission is to help special needs children explore these creative interests, with the goal of also improving their essential social, behavior, cognitive, and communication skills. It is known that children on the autism spectrum, ADHD, and those with other neurological or physical disorders often have difficulty calming themselves and managing their emotions. 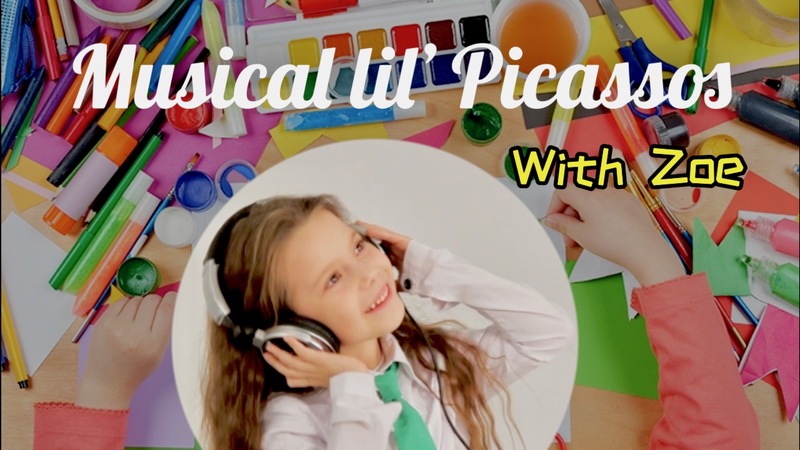 Guiding children to explore their own musical abilities, and playing with their creativity they can use this as a way to teach themselves self-calming mechanisms and finding their confidence power for life. 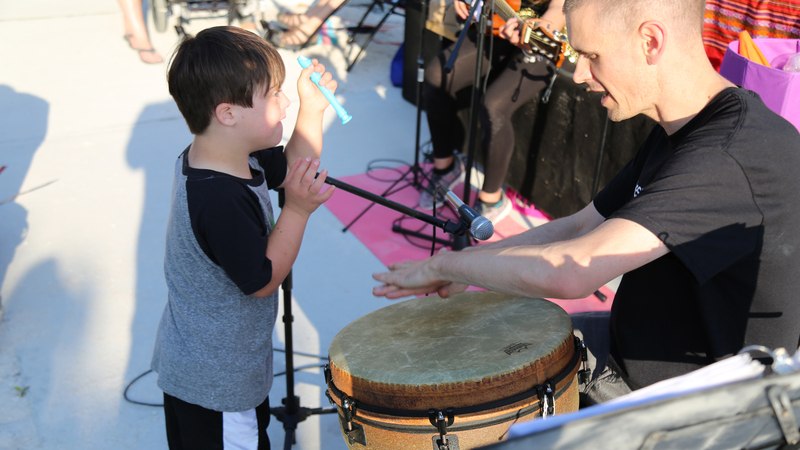 “We want to inspire and promote individuals diagnosed with autism and related disorders discover their music and artistic abilities, while helping them establish a stronger connection to their daily lives, building self-esteem. We will help facilitate musical experiences and opportunities, especially ones that are not covered by insurance or public education funding. 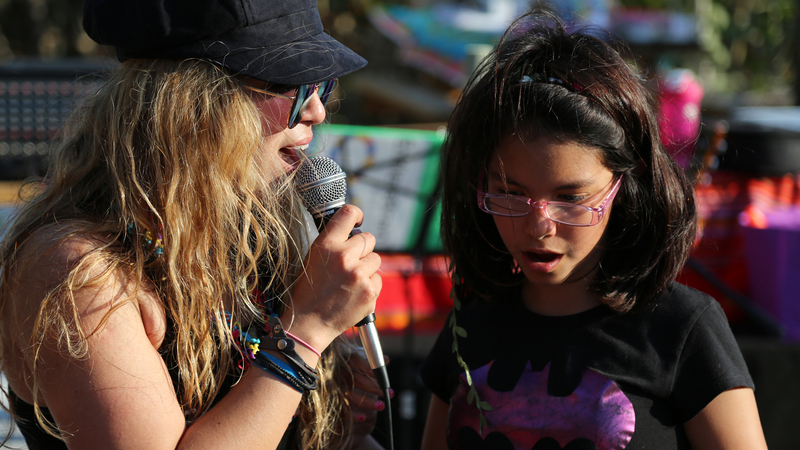 We hope for our children to have an equal exposure to music activities and events, with meaningful opportunities to discover their talents, building a strong community with dignity, acceptance and inclusion” – EndlessBrain founder. 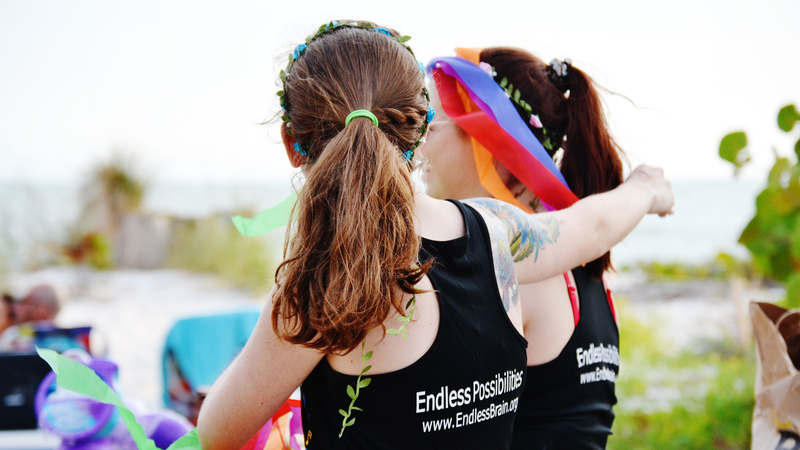 EndlessBrain, Inc. is a nonprofit 501 C, founded by a mother of a child diagnosed with autism, musician, with a masters degree in Applied Behavior Analysis, who felt an urgent need to create an opportunity where all special needs children can receive access to different musical activities, just like her daughter did, practicing inclusion and promoting skills learning. EndlessBrain takes pride of their board of directors, who also donate their time and dedication to this noble mission. All our Board of directors are recognized musicians holding the following educational degrees: Licensed Psychologist, Cognitive Trainer, Behavior Analysts, Behavior Specialist, Computer Engineer, Certified Teacher, and Social Worker who are passionate about helping special needs children discover their musical abilities, promoting inclusion, and spreading awareness. Meet Zoe (8), one of our talented members, she is holding an arts and craft playgroup, with the guidance of an art instructor. Have fun creating meaningful friendships with your friends during his creative arts and craft time, while listening to fun and inspiring music. Zoe is a talented young artist, she has developed a passion for origami, arts and craft at her young age. Art supplies are provided. 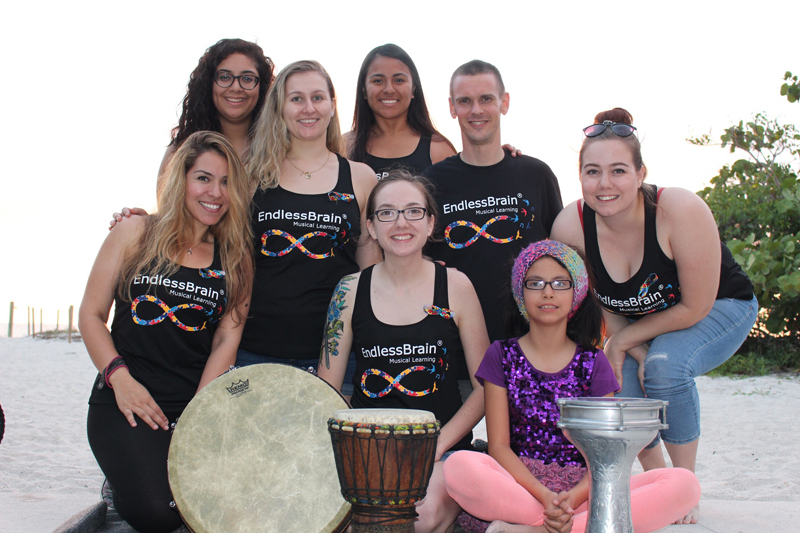 Registration is required info@endlessbrain.org– Space is limited, please email info@endlessbrain.org to register for the next monthly drum class. This is a free class no payments are required, donations are welcome. EndlessBrain is offering a FREE parent respite care on a Friday night for all children with special needs and their siblings. The respite nights will include live music, movies, board games, and fun musical activities where children will receive a 1:1 or 2:1 ratio as needed for a 3 hour of free respite care. 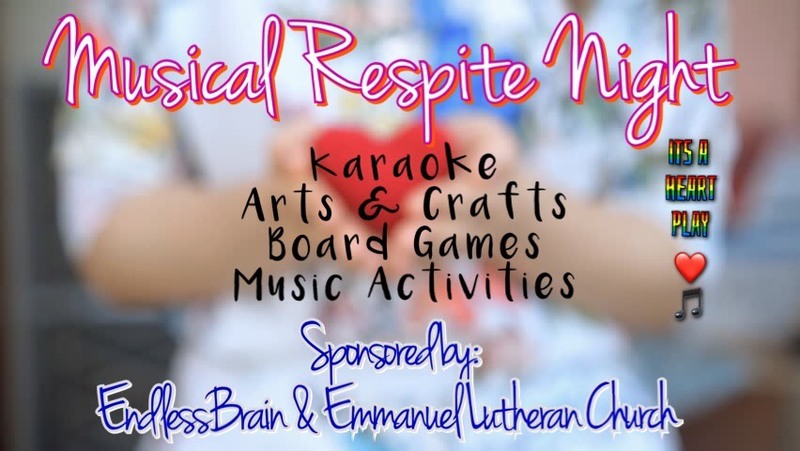 The musical respite night will take place at Emmanuel Lutheran Church from 5:30-8:30. To register please email info@endlessbrain.org. Please check our Facebook calendar event page t for the upcoming respite night dates or email info@endlessbrain.org for more information. The event requires registration within 1 week from the event date. Ages 5-16 all abilities. This group meets every Tuesday from 6:00pm-7:00pm. Learn basic percussion using African drums in a small group of happy drummers and discover the power of drumming in a fun and dynamic way. 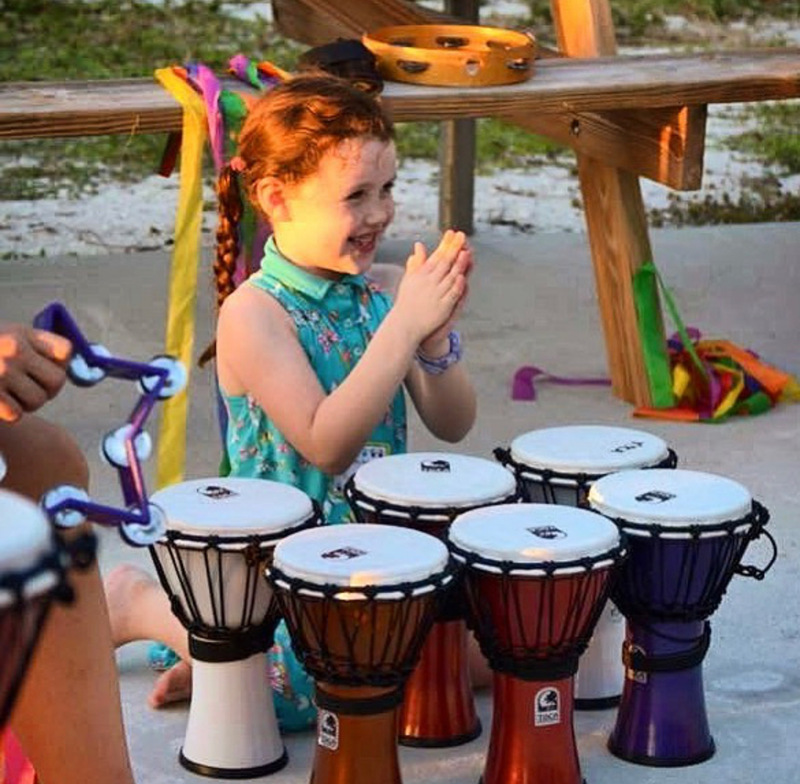 With the guidance of an instructor, students learn to follow basic drumming patters, working right-left coordination, memory cognitive exercises, clapping and using percussion instruments. Drumming help us to connect to our hearts and this group drumming serves as a link to connect to one another. While at this program children also engage in group communication such as turn taking, requesting permission and answering to questions from peers and instructors. Other skills targeted during this workshop: Self-awareness, waiting skills, sitting with peers, eye contact and motor skills. Parents, therapist and caregivers are asked to stay in the class with their children while session is going. Drums are provide to all students. 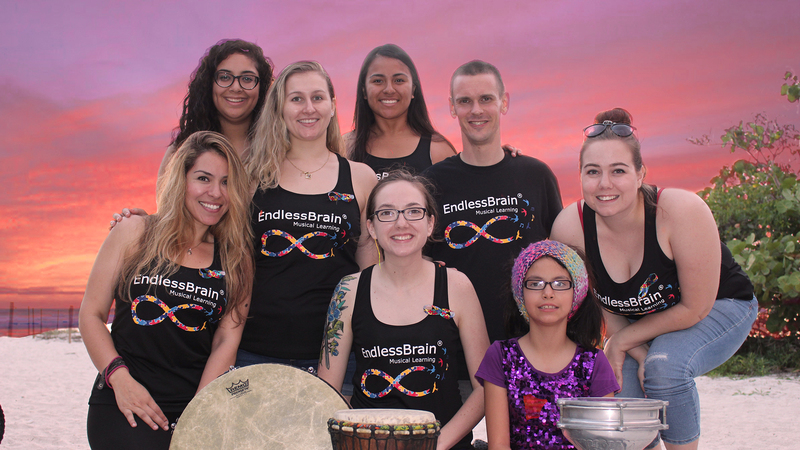 Space is limited, please email info@endlessbrain.org to register for the next monthly drum class. This is a free class no payments are required, donations are welcome. Ages 5-16 all abilities. This is a FREE weekly workshop. Meets every Tuesday from 5:00pm-6:00pm. This is a fun introductory Ukulele beginners class for first time Ukulele players and enthusiast singers. 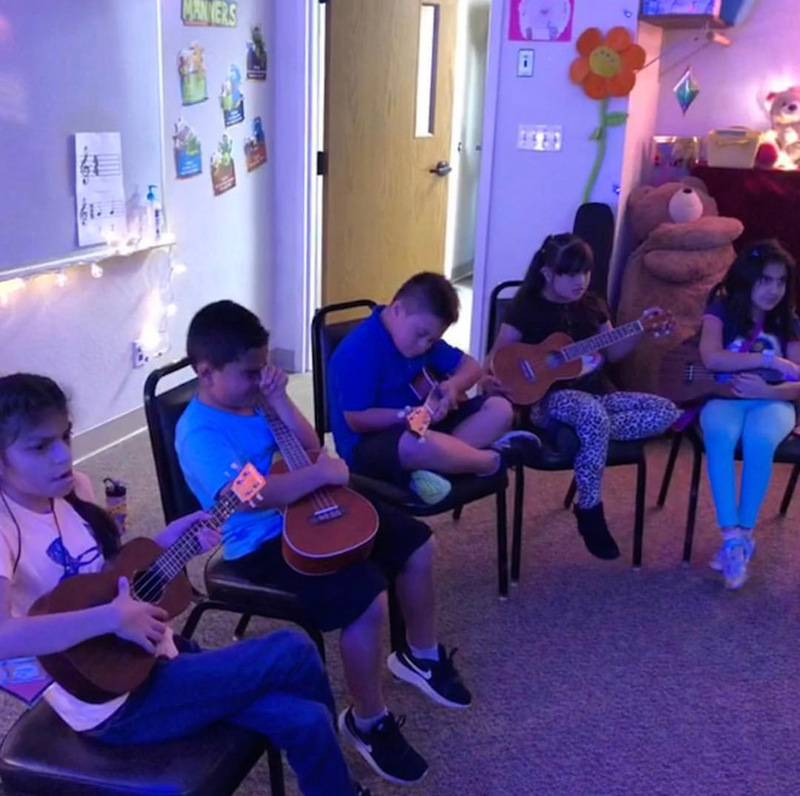 With the guidance of an instructor and using visual support students can learn to play a simple children’s song in the ukulele concluding in a recital! While at this workshop children also engage in group communication such as turn taking, requesting permission and answering to questions from peers and instructors; children have an opportunity to create meaningful relationships with other children their age. Other skills may be targeted during this workshop: hand eye coordination, fine motor skills, cognitive skills, listening skills, waiting skills, sitting with peers, eye contact and gross motor skills. Parents, therapist and caregivers are asked to stay in the class with their children while session is going. Instruments are provided. Space is very limited, please email info@endlessbrain.org to register for the next Ukulele sing along class. This is a free class no payments are required, donations are welcome. 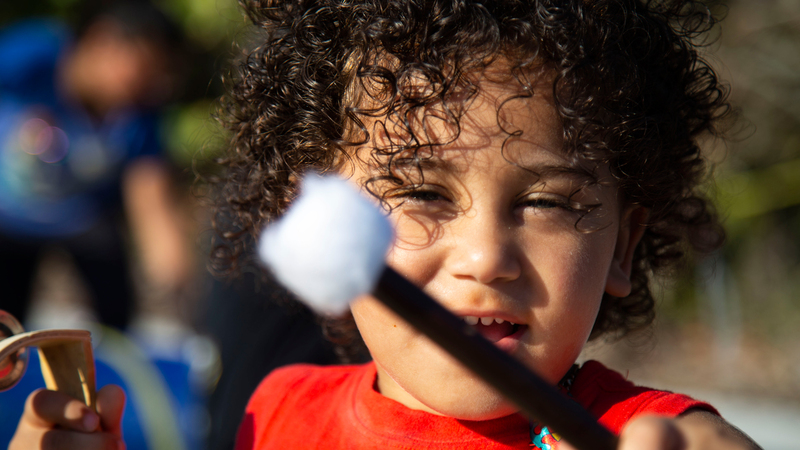 Help children with special needs enjoy musical activities in our community.